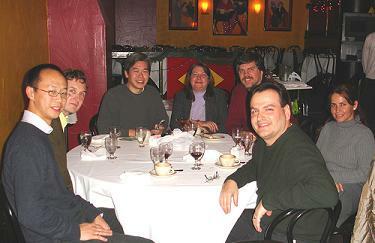 A group of ISFers gathered for a wonderful holiday dinner at Osso Bucco, a terrific family-style Italian restaurant. We talked a little shop but really just enjoyed good company, good food and good fun. We took this picture late but still got several smiling faces.